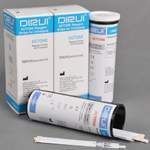 DIRUI one of China's leading suppliers of high quality diagnostic products. Exporting to over 90 countries worldwide and backed with brand recognition from Siemens (who recently purchased Dirui's CS-1300 Auto-Chemistry Analyzer to add to their product list). These tests are of professional quality and are intended for use by medical professionals who know how to correctly interpret the results. 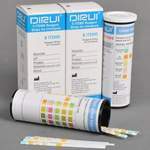 The full list of urine reagent test strips are seen here. We can supply any of these, minimum orders apply. 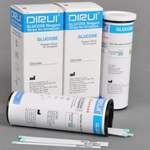 DIRUI is an outstanding supplier of world-class laboratory solutions for medical facilities worldwide. Since its establishment in 1992, DIRUI has always been dedicated to R&D, manufacturing and sales of high quality diagnostic products (medical devices, diagnostic reagents, and immunoassay reagents). Dirui’s collective product portfolio has not only represented some of the most advanced medical testing technology in China, but has also obtained a great many national patents. Pioneering in the technologies of anti-VC urinalysis reagent strips and quality controls, DIRUI is also the first Chinese domestic manufacturer of automatic bio-chemical analysers such as the renowned CS-800 clinical chemistry analyser as well as the H-800 automatic urine analyser. 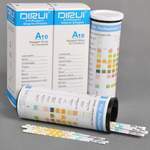 DIRUI’s BF series haematology analysers and FUS series urine formed element analysers feature worldclass advanced technologies, which ensure testing results of the highest quality, as well as a stable and smart system. Dirui is an ISO9001 and ISO13485 certified manufacturer. 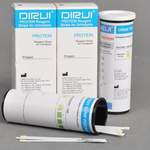 With quality at the forefront, Dirui has successfully developed a good reputation in the international medical industry and strives to provide customers with ever improving products and services.